A former classmate of Virginia Gov. Ralph Northam (D) reportedly leaked the politician’s racist yearbook photo in retaliation against his comments last week about abortion. The governor’s bad week began when he seemingly endorsed infanticide during an interview on WTOP-FM, where he explained a scenario in which a newborn baby would be “kept comfortable” and “resuscitated, if that’s what the mother and the family desired” while the mother and her doctors would discuss the infant’s future. Northam’s remarks were in defense of a failed bill presented by embattled Del. Kathy Tran (D). The proposal would have legalized abortion up until the point of birth. On Friday, the right-leaning website Big League Politics published an article sharing the controversial photo from Northam’s 1984 medical school yearbook. In one of the photos, there are two men dressed in costume: one was wearing black face while the other donned a Ku Klux Klan hood. As for Northam, he initially apologized for the photo, admitting he was one of the two men in the image. But he backtracked the next day, claiming during a bizarre press briefing he was not in the picture at all. However, he told reporters he remembered once dressing in black face for a Michael Jackson costume he wore to another party. The governor seemingly considered showcasing his supposed moonwalking skills during the odd press appearance before his wife told him it would be inappropriate to do so. 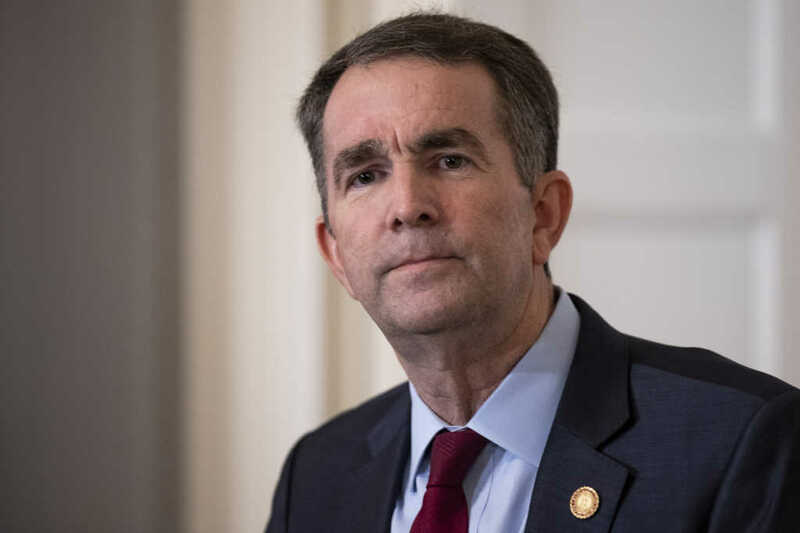 Despite calls from just about every leading Democrat across the nation, including both of Virginia’s senators and former Vice President Joe Biden, Northam has refused to resign his position as governor of the commonwealth.